This year 225,000 people, equivalent to the population of Milton Keynes, will be diagnosed with dementia. By 2025 the total number of people in the UK living with dementia will have exceeded a million. In response, towns and villages across the UK are committing to become communities that better help people with dementia go about their daily lives. In Wincanton, a range of local partners have now joined this movement and are working together on a campaign to make the town “Dementia Friendly”. 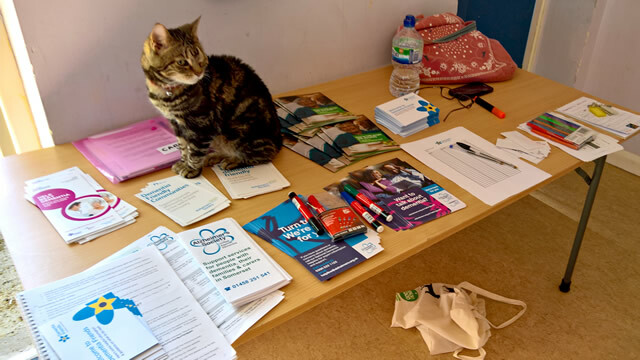 The Dementia-Friendly Wincanton campaign aims to make our community one in which people living with dementia feel understood, included and confidently able to contribute to community life. To do this, schools, businesses, local services and residents of Wincanton will be taking part in a wide range of activities aimed at promoting a better understanding of dementia in Wincanton. Dementia is something we hear more and more about in today’s society. Recent storylines in The Archers and Emmerdale focusing on dementia have helped to improve the public’s understanding but awareness remains generally low. The word “dementia” describes a set of symptoms that may include memory loss and difficulties with thinking, problem-solving or language. These symptoms are caused by diseases of the brain such as Alzheimer’s disease that cause nerve cells to die, damaging the structure and chemistry of the brain. Dementia can also affect the way people perceive things, feel and behave. These changes are often small to start with, but for someone with dementia they become severe enough to affect daily life. Just over 9,000 people in Somerset are estimated to have Dementia. This is projected to almost double to 18,000 by 2035. Alarmingly, one third of people living with dementia reportedly do not feel part of their community. In the UK there are now over 200 communities working towards becoming dementia friendly with support from national charity The Alzheimer’s Society. The charity, that provides an accreditation process, consider a dementia-friendly community to be a place that is supportive and inclusive of people affected by dementia. In these communities people with dementia are empowered to have aspirations and feel confident, knowing they can live the life they want. 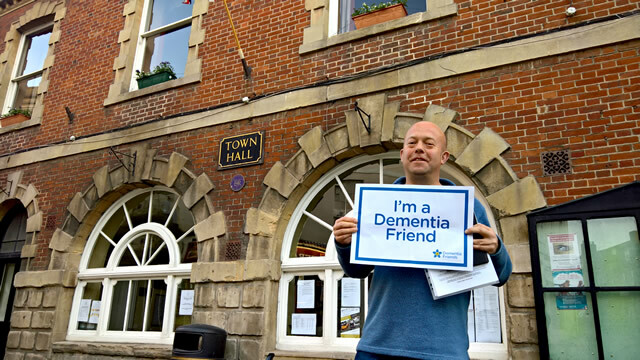 A key part of the Dementia Friendly Wincanton campaign will involve encouraging local groups, businesses and residents to attend a local Dementia Friends information session. These sessions are run by volunteer Dementia Friends Champions who are trained and supported by the Alzheimer’s Society. 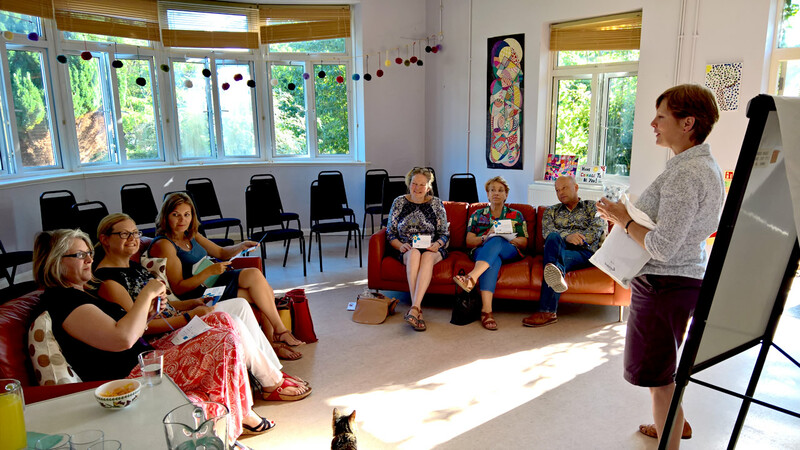 Each session lasts around one hour during which participants learn about dementia and how they can help to create a dementia friendly community. Having a basic understanding of what dementia is and some of the small things you can do to help those affected to live well can make a huge difference. Afterwards participants are encouraged to turn their understanding into action by making a commitment to one action – big or small – that will help make Wincanton a dementia-friendly community. This might be getting in touch and staying in touch with someone they know living with dementia, volunteering for an organisation that helps people with dementia or simply committing to be more patient when out and about in the community. Future dementia friend information sessions are planned and we hope everyone in the community will attend one. They will be advertised on the Wincanton Window, the Wincanton Dementia Friends Facebook page, the Wincanton Health Centre newsletter and The Word magazine. Over the coming weeks we will be writing about some of the other activities relating to the campaign, interviewing members of the community living with dementia and profiling the groups and services in Wincanton that already support people living with dementia. If you would like more information about the Dementia-Friendly Wincanton campaign or would like to attend a Dementia Friends information session please email .